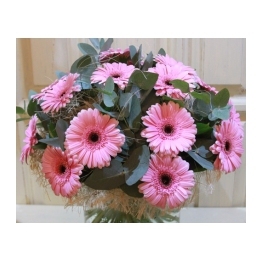 Gerberas or gerbera daisies came from the South Africa and Madagascar. 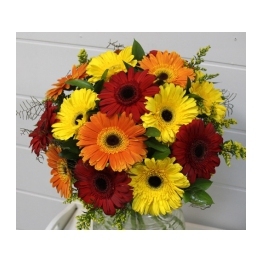 Gerbera is named after the German naturalist Traugott Gerber who started the first botanical garden in Moscow in XVIII century. 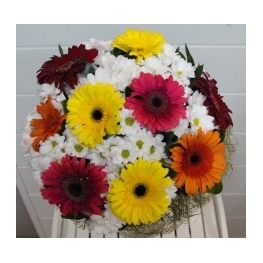 These simple, nice and gentle flowers like small suns became symbols of goodness and happiness. 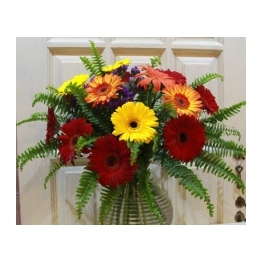 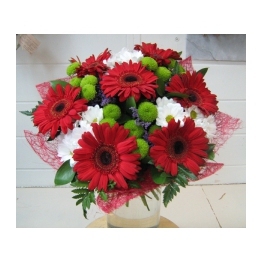 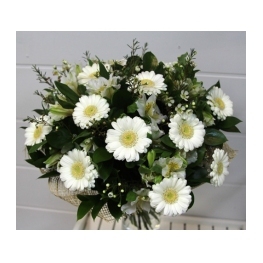 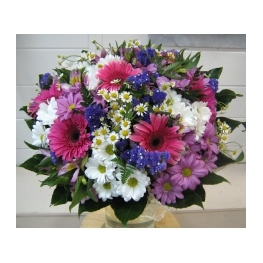 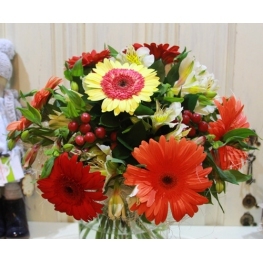 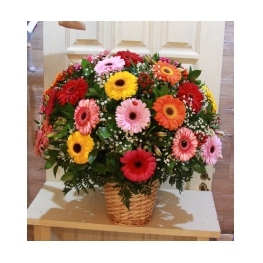 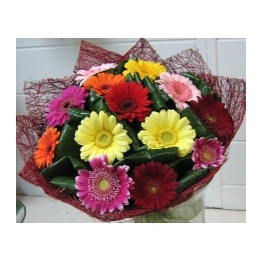 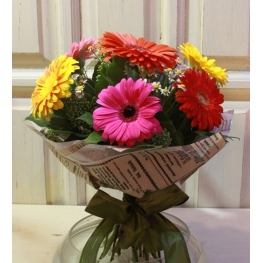 A bouquets of gerberas made by our professional florists will be an ideal gift for any occasion. 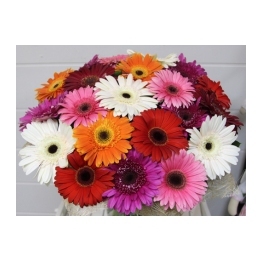 It’s curious that a flower of Gerbera jamesonii is depicted on the provincial coat of arms of Mpumalanga (Eastern Transvaal), a province of South Africa.